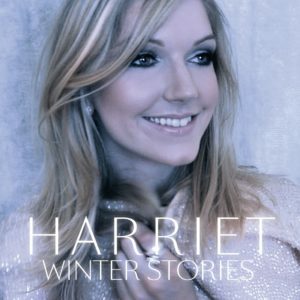 For those who missed out on the original 2015 release of Winter Stories, the album has been re-pressed as we are approaching the festive season and is now available to preorder. The album consists of ten reworked classic Christmas songs and features the original version of ‘Maybe This Christmas’. Winter Stories (2017 Reissue) is available exclusively through Harriet’s online shop. Available only as long as stocks last. The 10 tracks are only available in this physical CD format. We regret that we are unable to guarantee delivery in time for Christmas on orders placed on or after Sunday 17th December. Thank you for your understanding.